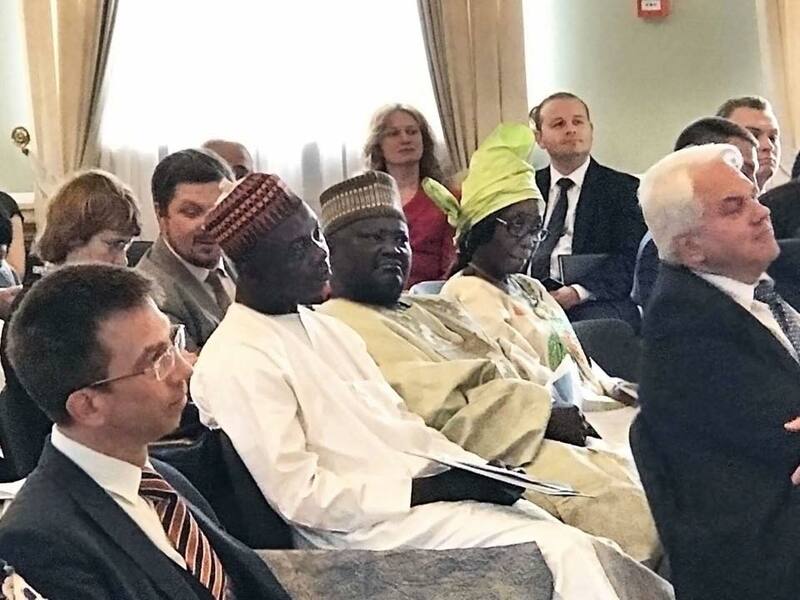 26.05.2017 representatives of the Ministry of Education and Science of Ukraine, led by Deputy Minister Roman Hreba, joined in the Africa Day celebrations hosted at the Verkhovna Rada to commemorate the date of the foundation of the Organisation of African Unity – now known as the African Union. 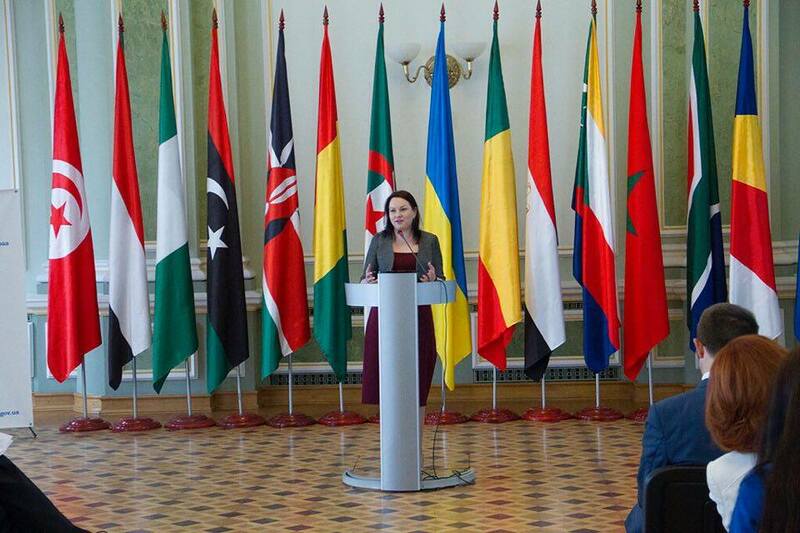 Deputy Minister Hreba outlined the historic ties between Africa and Ukraine in the area of higher education. The director of the Ukrainian State Center for International Education, Olena Shapovalova, also gave a presentation on the services of the Center and statistics of international students in Ukraine. Over 15,000 international students from 49 countries of Africa choose Ukraine as their higher education study destination of choice. Many African students have embraced Ukrainian culture including Leonardo Obodoeke from Nigeria. He is studying at Ternopil Medical University, writes his own songs in Ukrainian, and was featured on The Voice Ukraine in 2014 singing in Ukrainian. 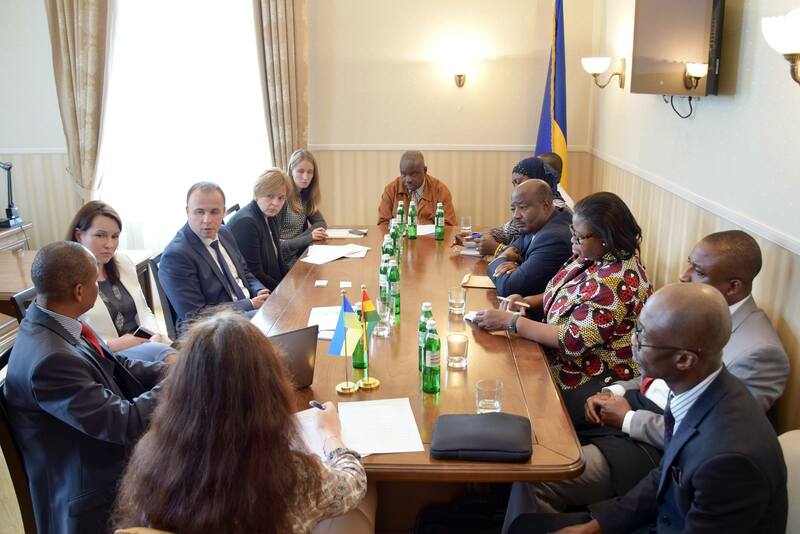 Today, the Ministry of Education and Science of Ukraine met with a delegation from the Medical and Dental Council of Ghana. 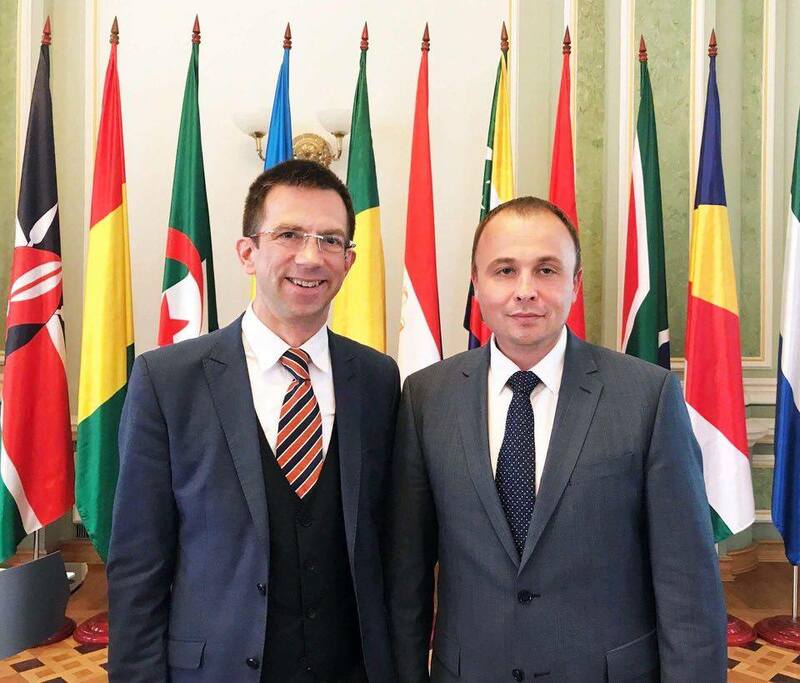 The Ukrainian delegation was led by the Deputy Minister of Education and Science of Ukraine – Roman Hreba. He outlined the importance of students from Africa and in particular Ghana studying in Ukraine and how they can attain a high quality education. He also touched on the reforms in the higher education system which will mean better education for all students in Ukraine. Finally, he described the importance of the new www.studyinukraine.gov.ua website which is the official Ukrainian Government source of information on Ukrainian Higher Education Institutions. 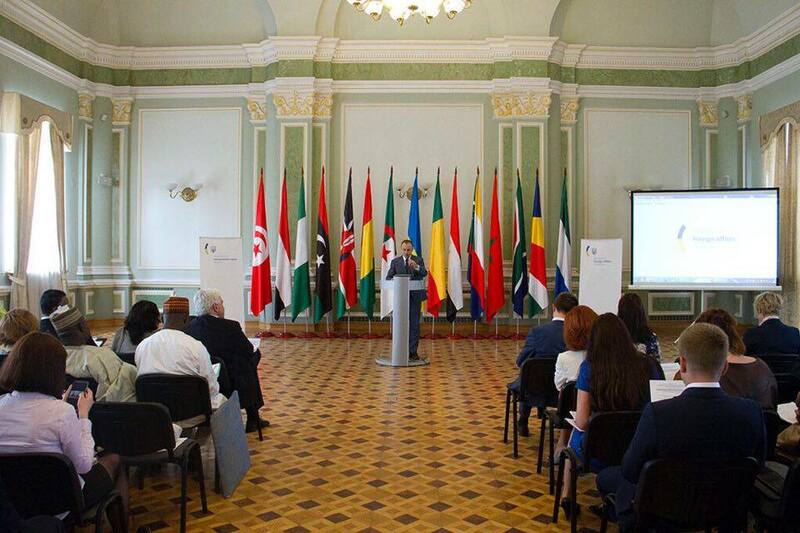 There are currently 1315 students from Ghana studying in Ukraine, with 940 of them studying in the field of medicine. For many years, Ukraine has been one of the most popular destinations to study for Palestinian students. 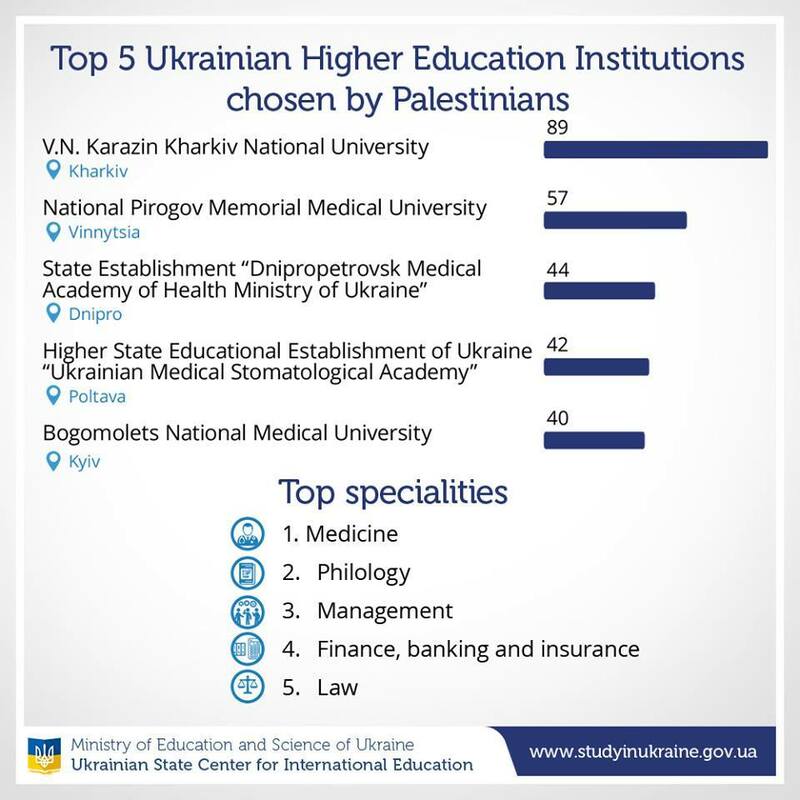 Many famous Palestinian scientists received their higher education in Ukraine (for instance, the Health Minister of the State of Palestine Dr. Jawad Awad studied in Ukrainian university) and that’s why strong Ukrainian academic practices are highly appreciated and respected. 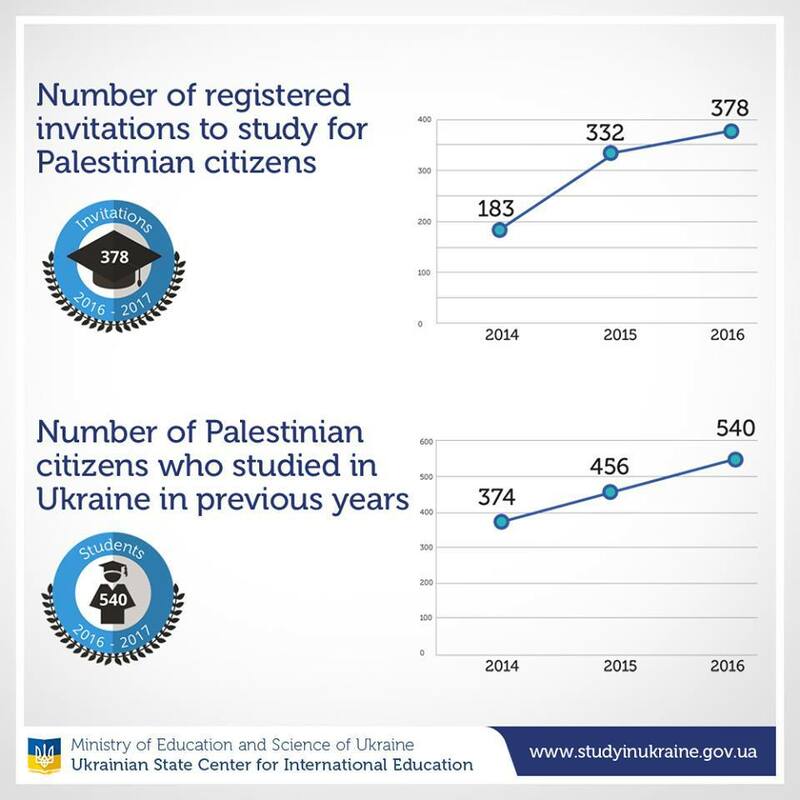 Up from 374 students in 2014, there are currently 540 Palestinian students studying in Ukrainian universities. 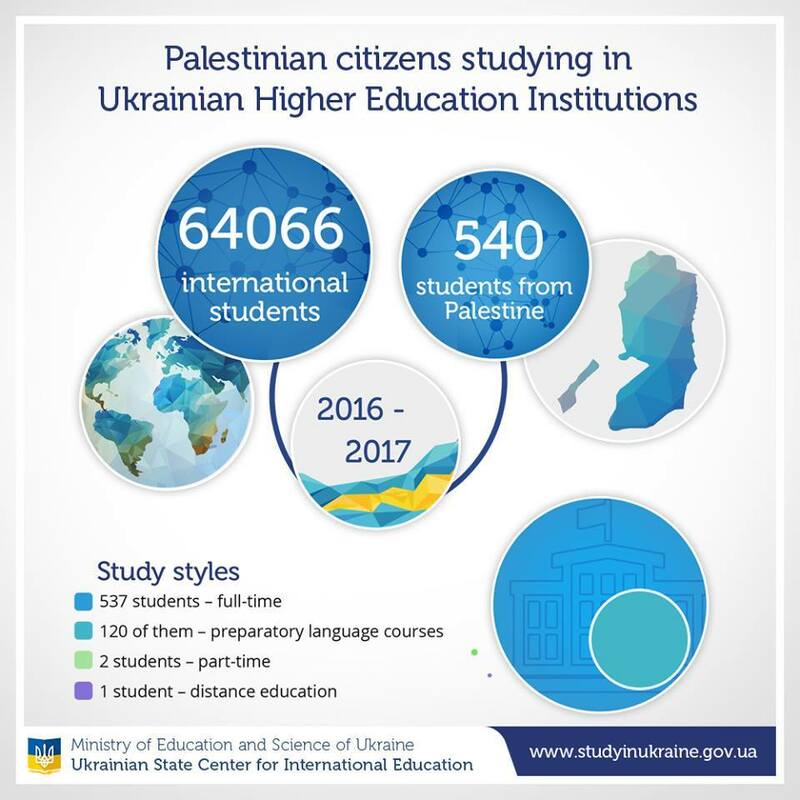 Palestinian students love Ukraine for its high quality of education, tolerant and friendly people, beautiful nature and true European atmosphere! 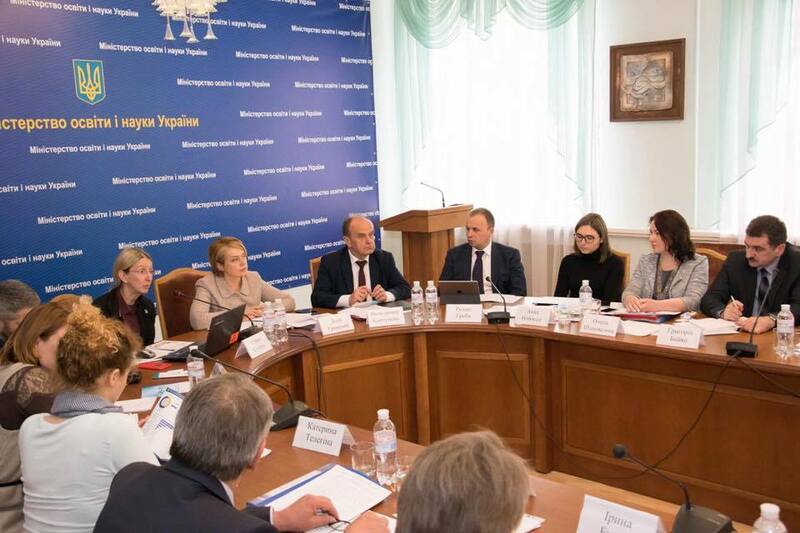 Yesterday, for the first time in many years, there was a joint conference between the Ministry of Education and Science of Ukraine and the Ministry of Health of Ukraine with representatives of all medical Higher Education Institutions of Ukraine. ✅cooperation with university recruitment agents. 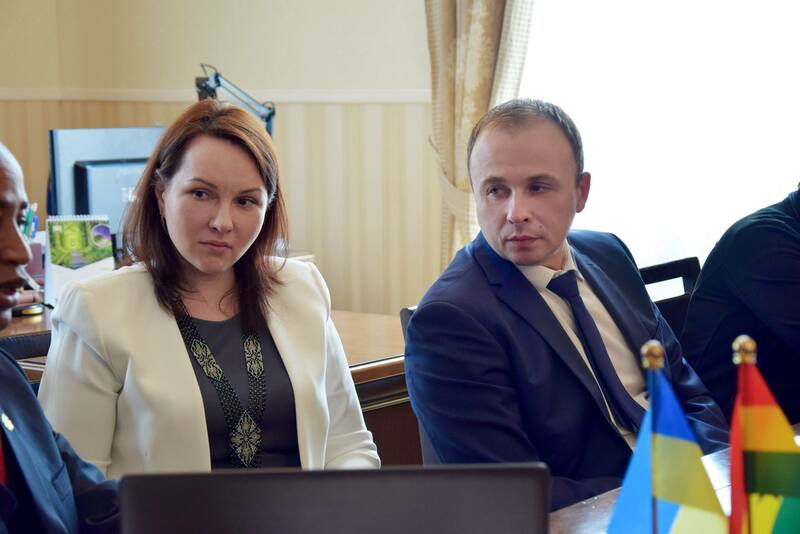 With regards to prospective international students gaining entry to study in Ukraine, the Minister of Education and Science, Liliya Hrynevych, outlined that students can apply online through the Ukrainian State Centre for International Education.